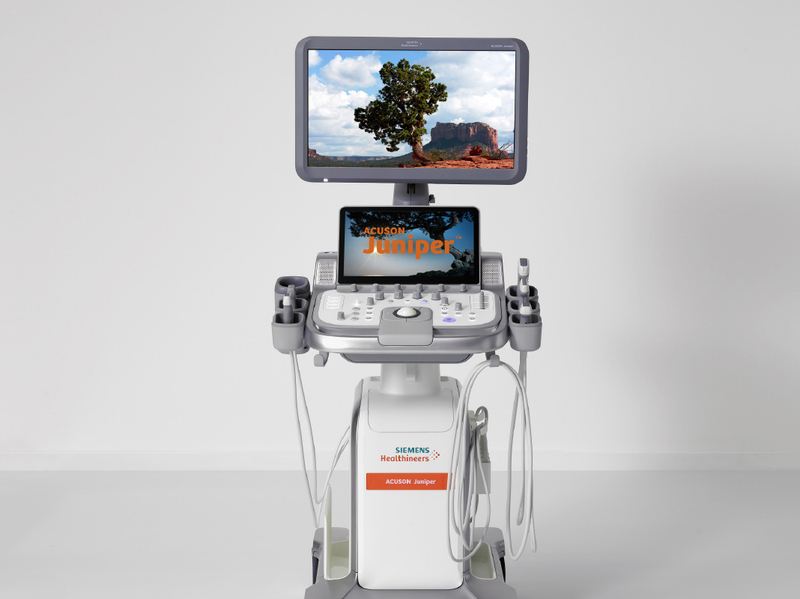 Siemens Healthineers has launched the ACUSON Juniper, a new ultrasound system with advanced applications and imaging performance while featuring a lightweight, ergonomic design and complete maneuverability for use across a wide variety of clinical segments. Siemens Healthineers incorporated feedback from the 365 participants in its largest-ever ultrasound co-creation project to ensure that the ACUSON Juniper meets the needs of today’s changing health care landscape. The system’s versatility and adaptability makes it ideal for diverse patient anatomies and physiologies. Users can customize the ACUSON Juniper based on patient interactions for improved clinical workflow. The smallest, most lightweight system in its class, the ACUSON Juniper adapts to virtually any exam environment and maneuvers easily with no tradeoffs in performance. Sleep and boot-up times of mere seconds allow clinical users to transfer the system within a hospital without sacrificing time with patients. Designed to address the needs of differing clinical departments, the system has flexible, intuitive and customizable tilt settings. Five active transducer ports allow for the system’s quick and easy readiness after transfer from department to department. The ACUSON Juniper’s LED monitor and touch panel are the largest in its segment. The system’s two standard USB ports enable quick transfer of images to patients, eliminating the need for print-out documentation. Further improving the patient experience, the ACUSON Juniper is 40 percent quieter than other ultrasound systems in its class. Additionally, a protective sheet is available for the system’s keypad, to facilitate the reading and use of the controls while in a sterile environment such as the operating room. This protective skin can be disinfected for reuse. With an imaging performance that belies its small size, the ACUSON Juniper is powered by a completely new imaging platform. Its new front-end engine offers system sensitivity and specificity as well as high dynamic range for improved tissue differentiation. A new signal processor reduces probe and patient motion artifacts, and enables fast image acquisition. A new back-end engine allows advanced elastography imaging and has a new measurement package. For use across departments, the Acuson Juniper is equipped with 16 transducers and is customizable with advanced imaging applications for use in radiology and interventional radiology, urology, cardiovascular, orthopedic and obstetrics/gynecological imaging.